I’d say “Jesus doesn’t want you to use his name to support your cause” but guess what? That’s doing exactly what I said not to do. It’s messed up though. “Jesus would feed the hungry so you need to do what I say because I’m starting a soup kitchen.” “Jesus talked about hell so that is the most important thing.” “Jesus talked about love, so that is the most important thing.” “Jesus would have been a republican.” “Jesus would have been a democrat.” “Jesus is pro choice.” “Jesus is pro life.” “Jesus wants us to save the whales.” The list goes on and on. The past 2 days I’ve been seeing the internet blow up about why Jesus wouldn’t want us to have the death penalty, and even a bit about why he wants us to. That’s what Jesus says about his kingdom. Does Jesus care about the environment, whales, trees, life, choice, the death penalty … YES!!! Do those concerns take precedence over his mission? Never. He didn’t want to die. I’m sure he would have loved to set the slaves free, turn over the Roman government, setup a utopia … but that didn’t fit his purpose at that time. I’m not saying we need to ignore these issues. I’m not saying we need to abolish the death penalty or keep it. I’m just saying you don’t need to throw Jesus under the bus to make your point. 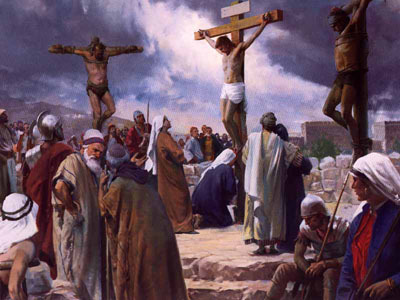 We crucified Him once for out sins, now lets try dealing with political things politically. Once you’ve witnessed successfully to everyone in your life, then you have earned a break so you can try and guess what Jesus’ opinions on political issues were.